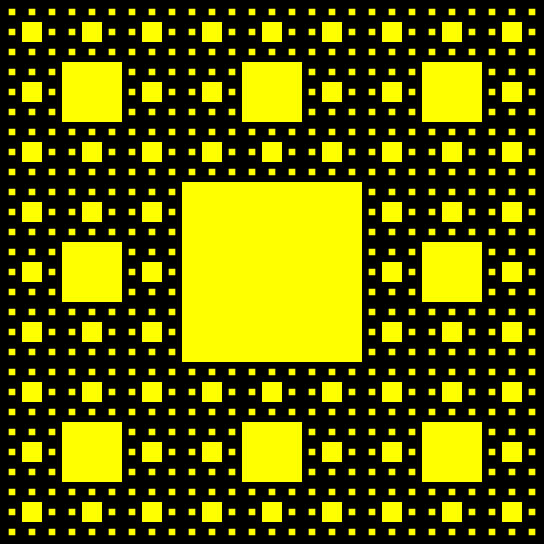 Free online Sierpinski carpet generator. Just press a button and you'll automatically get a Sierpinski carpet fractal. 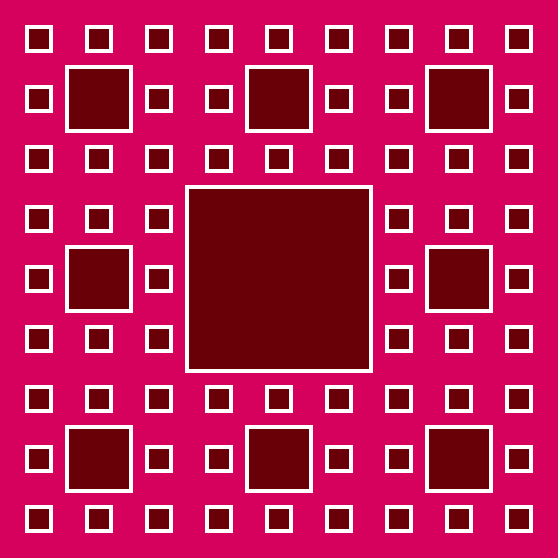 There are no ads, popups or nonsense, just an awesome Sierpinski carpet generator. Press a button, get a Sierpinski carpet. Created by mathematicians for mathematicians. Iterations Number of recursive iterations. Line color Carpet line segment color. Internal color Carpet square fill color. Line Width Thickness of square edges. Padding Padding around the carpet. Sierpinski carpet generator tool What is a sierpinski carpet generator? This tool draws a Sierpinsky carpet. A Sierpinsky carpet is self-similar plane fractal structure. 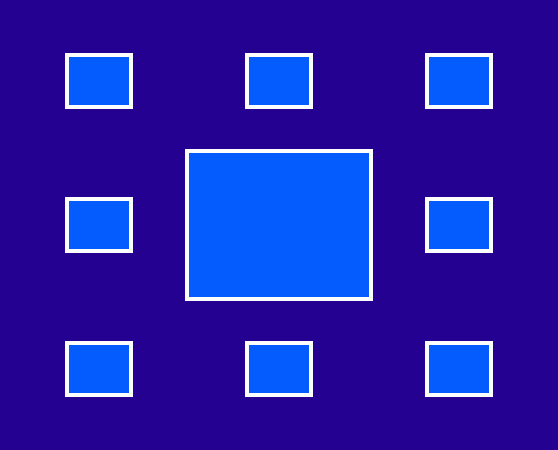 To construct it you cut it into 9 equal-sized smaller squares, and remove the central smaller square from all squares. You keep doing it as many times as you want. This tool lets you set how many cuts to make (number of iterations) and also set the carpet's width and height. If you use the download buttonm you'll be able to download the whole carpet that is exactly width-x-height in size. You can draw squares with any border width or no width at all. You can colorize a fractal with three different colors and you can also add offset padding around the edges of the carpet by setting the padding option. Mathabulous! This tool draws the Sierpinski carpet fractal with three different sizes of squares as the number of iterations is equal to 3. Here bright colors are used, on a canvas size of 558x558px. This example generates a non-square Sierpinski carpet in blue colors with dimensions 558x450px using only 2 iterations. In this example we generate a Sierpinsky fractal in which a thickness of the line equals 0. As a result its drawn using only two colors. Here we're also using 4 recursive generations to show how complex it gets and we don't use any padding around the carpet edges.